Windows & Carpets - Done in One Day! Carpet Cleaning and Window Cleaning Coupons! We are the owners of Jack's Window & Carpet Cleaning in Parker, Colorado, and we specialize in residential and commercial window cleaning in Denver and the surrounding communities. We have put this page together to answer frequently asked questions about window cleaning. We hope you find it helpful! 1. Why do I need to have my windows cleaned regularly? Aside from the fact that dirty windows detract from the beauty of your home, without regular cleaning, mineral deposits build up to the degree that you can't get them cleaned. Also, there is a health benefit for those who have allergies and repertory issues, as dust and dirt get caked in the seals and tracks. 2. Why should I use a professional window cleaning company? Quite simply, cleaning windows is time-consuming, it's expensive to buy the right products, and worst of all, the combination of high windows and a not-so-stable ladder can be dangerous. 3. How do I know that I am hiring a reputable window cleaning company in Denver? You need to make sure the company is not using subcontractors, because they typically aren't insured. Also, find out how long the company has been in business and do your research on Yelp, Angie's List, etc. 4. What is the best way to care for my windows? If you have broken window seals (which may be due to Colorado's extreme temperatures), moisture can get trapped inside, so it would be worthwhile to have them checked, and if necessary re-caulked. Also, if you are having your house power washed, make sure it is not sprayed directly. 5. What window cleaning services do you offer? Jack's Window & Carpet Cleaning offers exterior and interior residential and commercial window cleaning for buildings up to three stories. 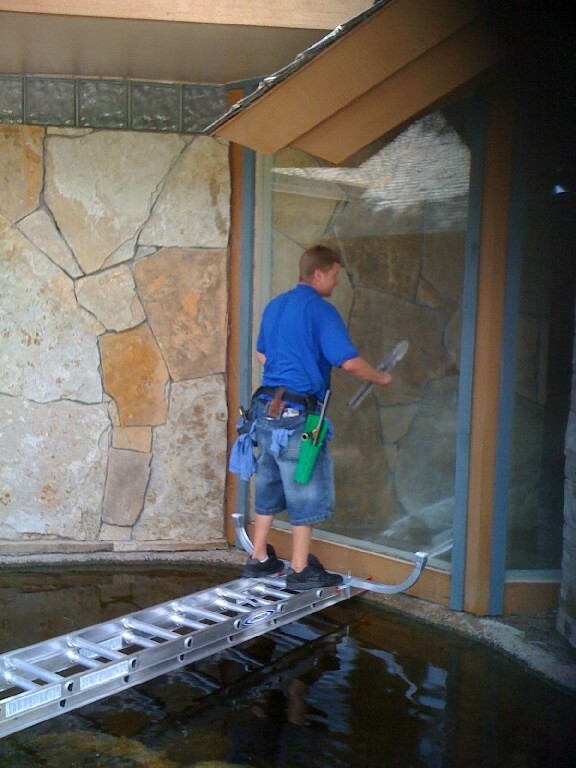 We also offer apartment and condo window cleaning for sliding glass doors, and windows and balcony glass paneling which is usually not covered by property management. We also do screen repair.